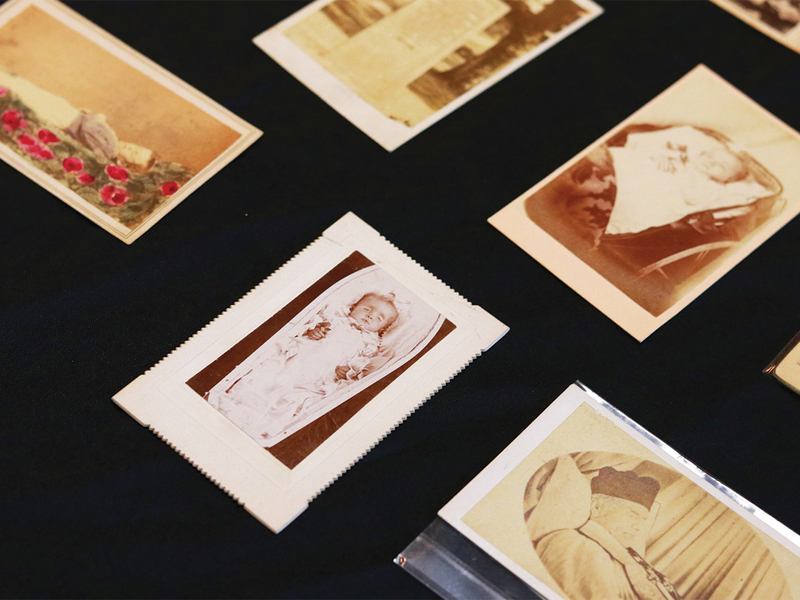 On Oct. 28, downtown Riverside’s Barbara and Art Culver Center hosted a public print viewing of postmortem photography from the Gluck Foundation’s “From the Vault” series. The modest collection of prints dated back to 19th century daguerreotypes to more modern 20th century colored prints, each frame a fragment of a narrative on the evolution of how we reflect on death. UCR ARTSblock Gluck fellow and Public History Ph.D. candidate Alyse Yeargan presented the photography as part of an artistic aim to discuss “cultural memory on death and the revulsion about postmortem photography.” While conceptually alien by contemporary notions of cultural values, postmortem photography was widely practiced by many Americans, Europeans and Latino Americans as a means to reflect on deceased family members. The inclusion of artistry in the process of mourning — evident in some photos that frame their subjects (and often their living family members in unison) romantically — is a jarring relic of antiquity. In one daguerreotype, immaculately holstered in an ornate frame, a miscarried baby lays nestled in a coffin; another picture captures a child surrounded by roses, the flowers and the boy colored pink sometime after printing. At one point in time, those photos held a significance to their owners — today they’re a lesson on societal change. “It’s important to see how this big part of culture has shifted and, as a historian, I am interested in that,” Yeargan states.